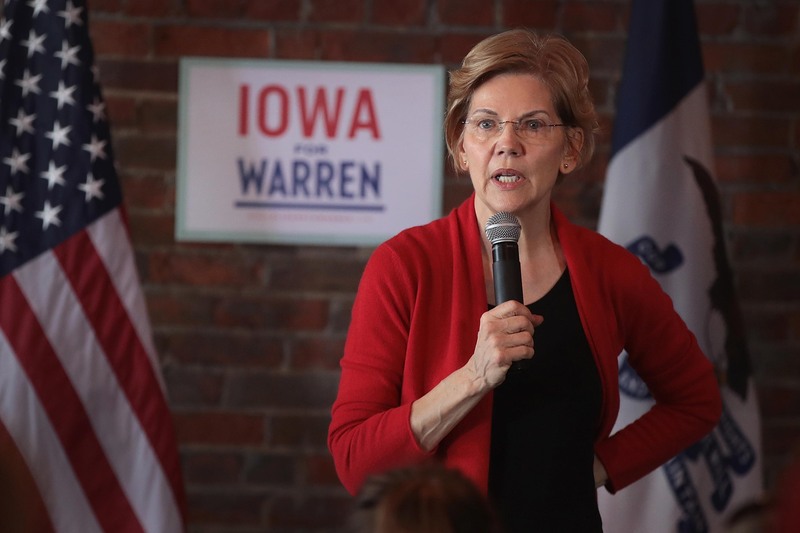 2020 presidential hopefuls Sen. Kamala Harris of California, Sen. Elizabeth Warren of Massachusetts, and Sen. Bernie Sanders of Vermont each released statements Wednesday addressing the backlash Democratic Minnesota Rep. Ilhan Omar is facing for her allegedly anti-Semitic statements. All of them condemned anti-Semitism but also explained that criticizing Israel should not be conflated with anti-Semitism. None of them criticized Omar’s comments either. “We have a moral duty to combat hateful ideologies in our own country and around the world — and that includes both anti-Semitism and Islamophobia. In a democracy, we can and should have an open, respectful debate about the Middle East that focuses on policy,” Warren’s statement reads. Unlike Warren, many Republicans have criticized Omar. Reps. Liz Cheney of Wyoming, Steve Scalise of Louisiana, Guy Reschenthaler of Pennsylvania and Lee Zeldin of New York have called for Omar to be removed from the House Foreign Affairs Committee. Despite their calls, Committee Chairman Eliot Engel said Tuesday that he was against her removal. We all have a responsibility to speak out against anti-Semitism, Islamophobia, homophobia, transphobia, racism and all forms of hatred and bigotry, especially as we see a spike in hate crimes in America. But like some of my colleagues in the Congressional Black Caucus, I am concerned that the spotlight being put on Congresswoman Omar may put her at risk. We should be having a sound, respectful discussion about policy. You can both support Israel and be loyal to our country. I also believe there is a difference between criticism of policy or political leaders, and anti-Semitism. At the end of the day, we need a two-state solution and a commitment to peace, human rights, and democracy by all leaders in the region — and a commitment by our country to help achieve that. Democrats decided to push for a resolution condemning anti-Semitism, which was scheduled to take place on Wednesday before being delayed. 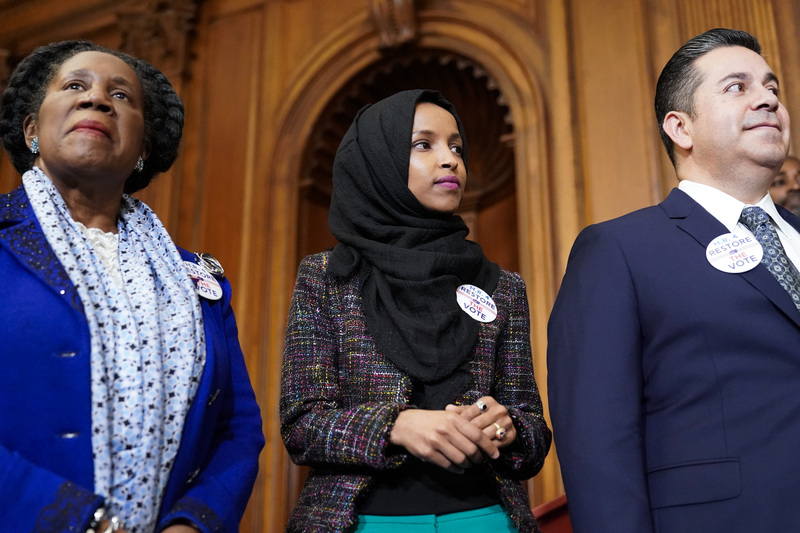 The text of the resolution did not mention Omar by name and, as of Tuesday night, there were reports that additional language condemning Islamophobia would be added. We must not, however, equate anti-Semitism with legitimate criticism of the right-wing, Netanyahu government in Israel. Rather, we must develop an even-handed Middle East policy which brings Israelis and Palestinians together for a lasting peace. What I fear is going on in the House now is an effort to target Congresswoman Omar as a way of stifling that debate. That’s wrong. The other Democrats who have announced their candidacy have remained silent on the rhetorical firestorm.